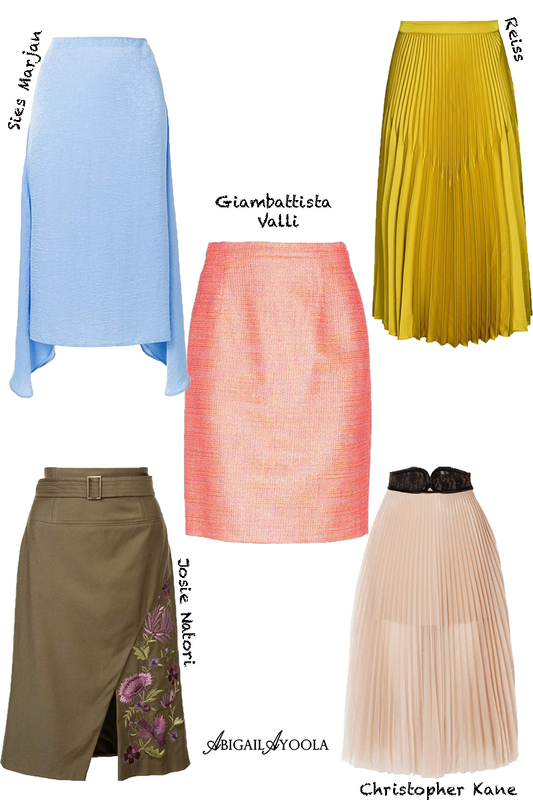 Spring skirts that you need should be versatile and transitional. Not too light or pretty for winter and not too dark or stale for summer. Skirts are great wardrobe pieces that can add femininity and elegance to a look. Women’s skirt style options are bountiful and because of this, there is a style fit for every lady. Different from a spring dress that has done most of the styling for you, a spring skirt is playful. You can style it with a t-shirt for more casual vibes, a cardigan or wardrobe staple white shirt for the office or a sequin top for a party. Depending on your personal style, you can go with pretty pleats, a mellow midi or an awesome a-line option. Spring is such a fun time to start trying out new looks. And so styling a spring skirt will definitely put you in the mood for sunshine. Here are 5 spring skirts that you need right now.